A few weeks ago we posted an E coupe on a set of ADV.1 wheels (link →). It was a very good looking car with the best quality, upper-class aftermarket parts. The edges were sharp, the fascia was aggressive; the whole package looked very masculine. Today we have another Mercedes Benz E Class. This one’s slightly different though. The red colored soft top has given this E a more sensual and seductive look. This E cabrio is owned by the owner of Blinkz Blinkz Motor. 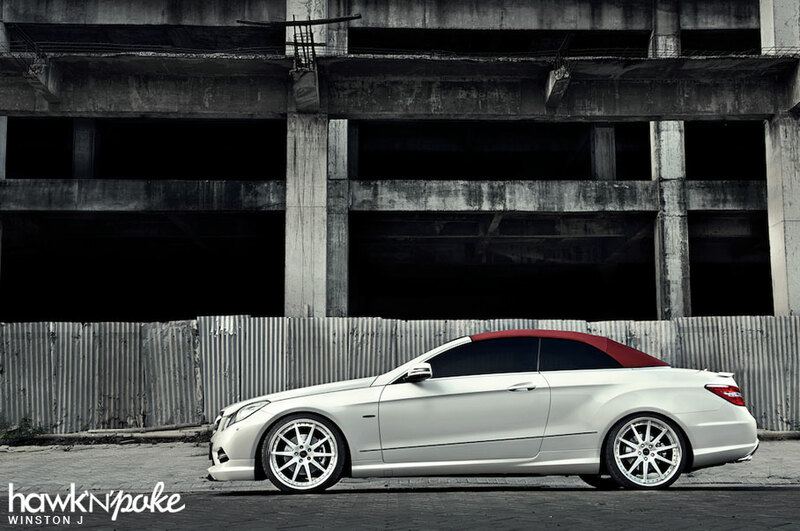 Being a car importer, he decided to order his E cabrio the way he wanted it: white body with a red colored soft top. It turned out to be a stunning combination. And in case you’re wondering why he chose red, his wife actually drives this car most of the time. For the wheels, he opted for Hyper Forged wheels. Hyper Forged is a Japanese wheel manufacturer that focuses on the design and production of exclusive custom forged wheels. One can basically order a wheel in any kind of lips, finishing, caps combination. 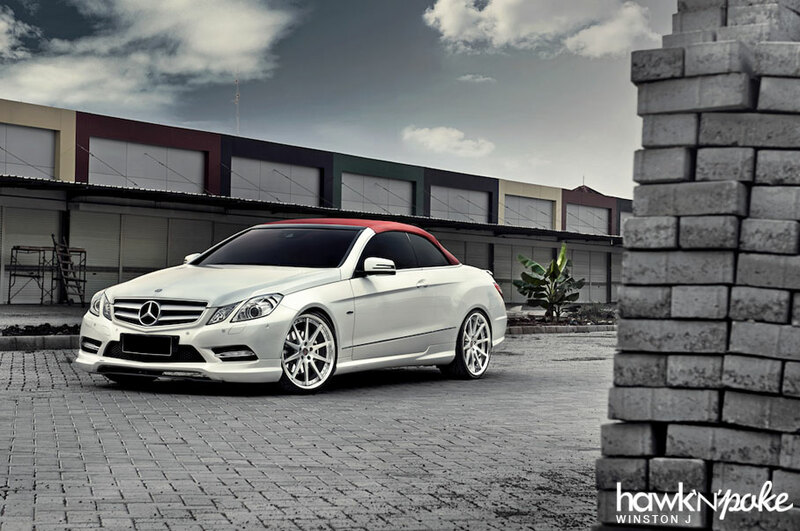 Complementing the AMG Sport package exterior, the owner chose to install Carlsson add-on lips and spoilers, along with carbon splitters and diffusers.